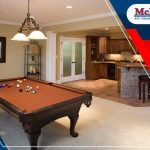 Whether you are moving into a new home and need to choose an HVAC unit or your old heating and cooling system just isn’t cutting it anymore, there will come a time when you need to upgrade your HVAC system. Choosing a newer unit has many benefits including increased energy efficiency and fewer breakdowns. 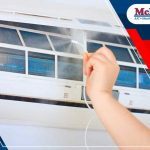 Though there is no wrong time to upgrade your HVAC system, it can be beneficial to upgrade your heater and air conditioner when you are using it less in the off-season. There are many opportunities to save money on new systems during off-season. Many HVAC dealers offer special deals and promotions during the off-season. This is also a great time to take advantage of manufacturer rebates that can save you a significant amount of money on a new HVAC system or other upgrades. 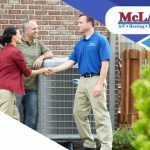 As a factory authorized dealer of Carrier systems and products, McLay Services offers a wide range of quality HVAC systems and upgrades that may qualify for Carrier rebates as well as energy-efficient tax credits. Homeowners have more time to find the ideal HVAC system for their home. Since temperatures are more moderate in the fall, there is a good chance that you will find yourself using your HVAC unit less. 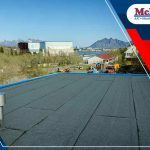 This makes it the ideal time to start looking for a new system because you can take your time finding the system you want and evaluating your energy options. 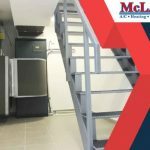 If your system is ten years or older, then you may be surprised at the number of HVAC upgrade options that are available on the market today. If you do not need an entirely new system, you may consider other upgrade options like air purifiers and smart thermostats that can help you gain better control of your home comfort levels. You can take advantage of energy savings before the winter season hits. When you replace your HVAC system with a more high-efficiency model, you will see significant savings when it comes to energy costs. Even if you only want to upgrade your thermostat to a smart model, you can still save money on annual energy costs. Why not enjoy those savings during the winter when you will be using your heating system regularly? By upgrading your HVAC system in the fall, you can take advantage of the energy cost savings by the time winter arrives. If you want to learn more about your HVAC upgrade options, contact us today. Our heating and cooling experts will help you find the right system that fits your home comfort needs and budget. If you want to upgrade your HVAC system but are afraid you can’t afford it right now, ask about our convenient air conditioning and heating financing options, which help you get the HVAC system you need to keep your family comfortable. Does Your HVAC System Qualify for Tax Credits? How Important is Indoor Humidity in Commercial Buildings?